Here are important game rules that every serious blader should know and bear to heart when competing in a Beyblade Battle. 1. 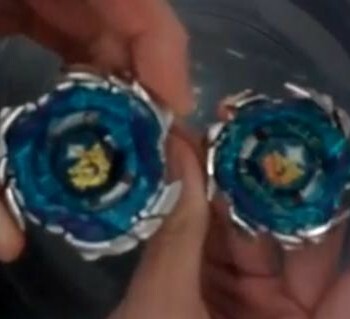 In a Beyblade battle, at least two bladers compete. Both competitors should launch their Beyblades immediately into the Beystadium after the referee calls "3, 2, 1 LET IT RIP!" 2. Competitors who launch their Beyblades prior to the signal loses the round. Those who delay the launch of their Beyblade after the signal hs been called will also lose the round. 3. 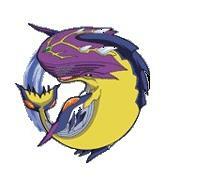 The Beyblade battle ends when one Beyblade stops spinning. 4. Only one launch per battle is allowed. 5. Each round will consist of 3 battles. 6. If the referee has determined that both Beys have stop spinning at the same time, the beyblade battle will be declared a tie. 7. Each competitor will compete in just 1 round. 8. The competitor who won the most number of rounds is declared the winner. If a round ends with 3 tie battles, additional battles will be played until a battle is won. The winner of that battle will be declared the winner of that round. 9. 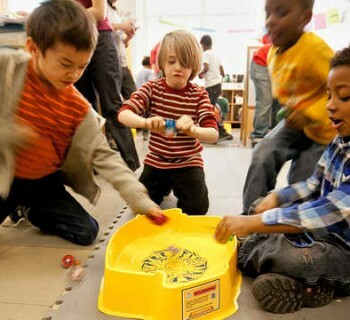 All Beyblade battles must be played on a Beystadium. 10. Semi-Final rounds are played on OFFICIAL BBA Beyblade competition stadiums. 11. A competitor who touches their opponent's bey or the Beystadium during a battle will automatically lose the battle. 12. Competitors must only launch their Beyblades within the designated area. 13. It is a competitor's responsibility to be present at the assigned Beystadium with a working top, launcher and rip cord at the pre-determined time. When a competitor fail to be present when the battle starts, the opponent will automatically win by default. 14. If a top enters a side pocket in the Beystadium and continues to spin longer than the opponent’s top it will be declared the winner. 15. If at any time during battle a top spins outside the Beystadium it will be automatically disqualified and the opponent will automatically be declared the winner of the battle. 16. Only official and original Beyblades, stadiums, rip cords and launchers manufactured by licensed manufacturers are eligible to join an official Beyblade battle. 17. Each Beyblade must contain a minimum of: Attack Ring, Weight Disk, Spin Gear and Blade base manufactured by Hasbro to be eligible for official BBA tournament play. Having a Bit Chip is optional and is allowed for official battles. 18. Competitors who are found to be using non-official tops will only be allowed to continue if they present and use an official Beyblade top. 19. If a competitor suspects that an opponent is using an non-official Beyblade, it is their responsibility to report this to the Referee. 20. All tops must be assembled and ready for battle once the competitors enter the tournament area. 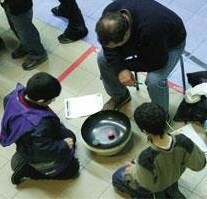 Competitors are not allowed to reconfigure their Beyblade during the round. 21. If a competitor is not prepared for a battle they will have to forfeit and the opponent will win by default. 22. The Referee has the right to requests for the inspection of a Beyblade. The player who was asked must hand over the top and have it inspected. 23. Beyblades that do not disassemble are forbidden in official BBA tournaments. 24. Beyblade with broken parts must replaced immediately! 25. Competitors must ensure their Beyblade parts are properly fixed together. 26. It is prohibited to purposely launch a Beyblade at any person at any time. 27. Competitors who violate game rules and exhibits unsportsmanlike behavior will be ejected from the tournament. 28. The official Beyblade Battle rules are subject to change without prior notice. 29. All decisions of the Referees regarding these rules are final.